Twin Cities Theater Bloggers: Big praise for Little Women at the Jungle from Twin Cities Theatre Bloggers! Big praise for Little Women at the Jungle from Twin Cities Theatre Bloggers! Isabella Star LaBlanc, C. Michael Menge Megan Burns, Christine Weber, and Christina Baldwin in Little Women at the Jungle. 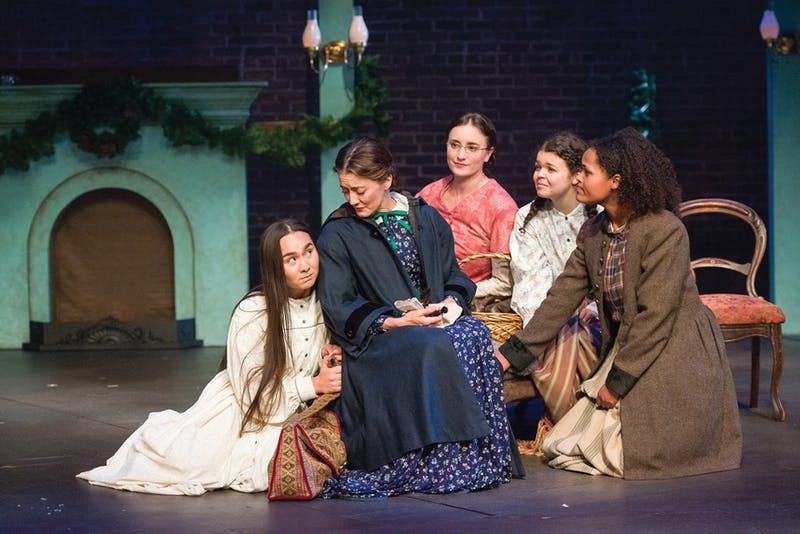 Have you heard about The Jungle’s world premiere of Kate Hamill’s adaptation of the Louisa May Alcott’s Little Women? Alcott’s classic, beloved novel about the 4 March sisters growing up in rural New England during the Civil War is enjoying its 150th anniversary this year. Our bloggers were very much in concord about this latest collaboration between Hamill and Jungle Artistic Director Sarah Rasmussen, with plenty of warm admiration for the show and for everyone involved! Once– again - at Theater Latte Da. IMPORTANT UPDATE ON MN THEATER AWARDS! Hamilton - at long last!